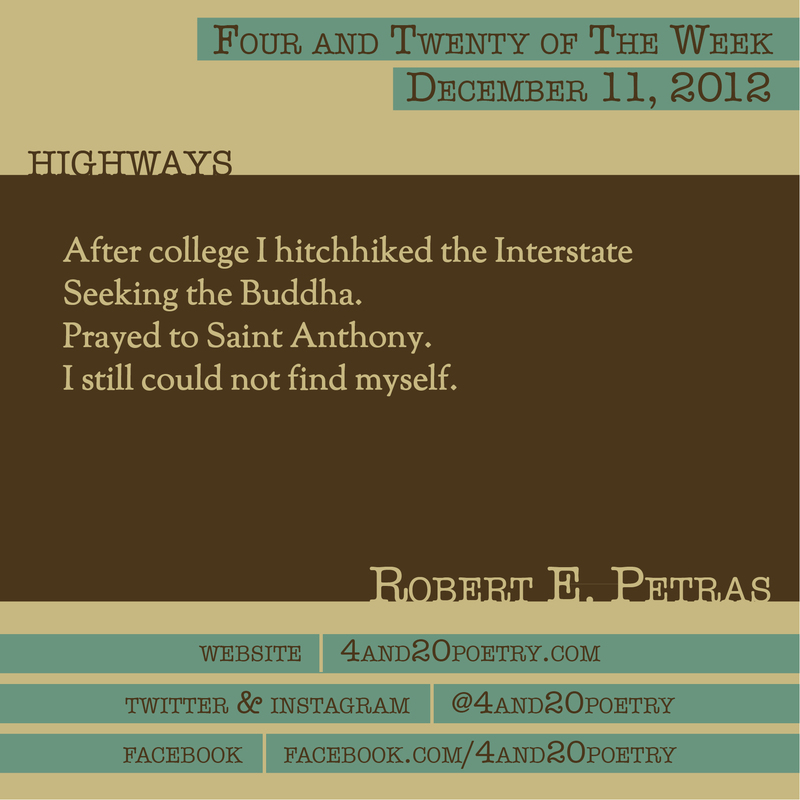 Robert E. Petras is a resident of Toronto, Ohio, and a graduate of West Liberty State University. His fiction and poetry have appeared in more than 150 publications. This entry was posted on Tuesday, December 11th, 2012 at 4:20 am and is filed under Four and Twenty of the Week, Micro Poetry, Poetry. You can follow any responses to this entry through the RSS 2.0 feed. Both comments and pings are currently closed.